by the rows of vines, the old olive trees and cherry trees: an amazing landscape designed by men. and preserve by respecting nature, traditions and patient work in the vineyard. and our work in the cellar, all contributes to the character and personality of our wines. That is a sign of tipicity and quality for each wine of our family, from Valpolicella to Superiore and Ripasso, from Amarone to Recioto. Our elegant packages are meant for original gifts, souvenirs and wedding favours. Reviews and awards are an incentive to improve ourselves and face the daily work or any event with new enthusiasm and passion. We like to record that work and passion with pictures from our world, the photo gallery of Villa Spinosa. Precious magnum bottles, elegant gift boxes and original bottles with personalised labels are our proposals for your gifts, favours and souvenirs. Italian wine guides and international wine magazines always taste our wines. Here are the most important reviews and awards. 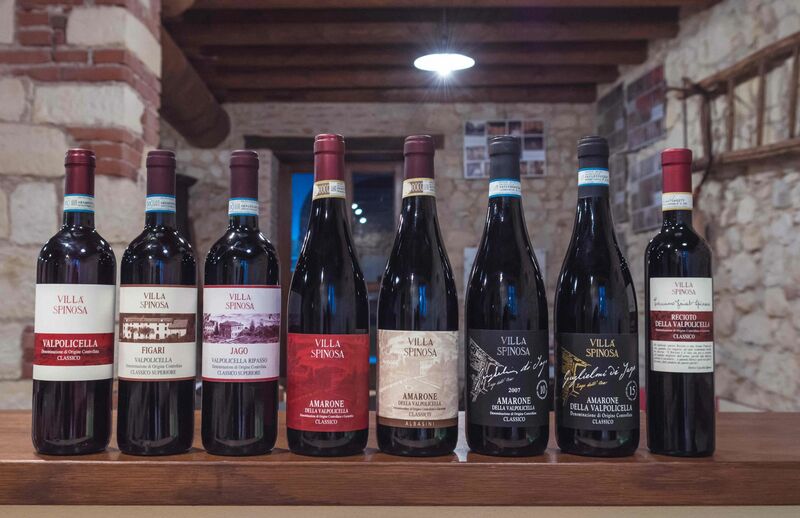 Here is a very special chance: talk to our wine expert and ask him everything you want to know about the Villa Spinosa's wines. 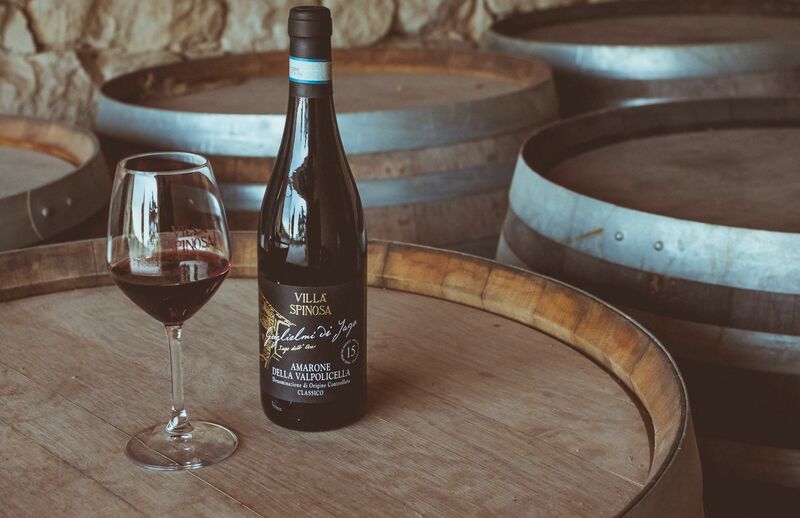 of a cultural and historical heritage, making most of the Valpolicella's identity. the sun exposure, the wine making decisions from the clone to the pruning: a sacred alliance called TERROIR! rated among the top areas, able to express features and shades of this territory: JAGO, FIGARI, COSTA DEL BUSO. For every vineyard there is a wine: we work to emphazise what characterizes or differs each cru. Some wines need time, they open up slowly and they develop later on in the glass. They aren't meant for guys in a hurry! 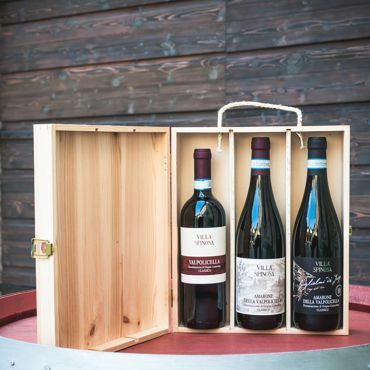 They are Amarone Guglielmi di Jago 10, 15 and 20 years, aged for so long. There are also wines telling about sour cherries and spices, about freshness and identity such as Figari Valpolicella Classico Superiore. We take great care of every aspect of wine life, from the harvest to the wine making. are harvested, fermented and aged separately to get the best of their own features. That is why our wines are so rich in expression, trying to make their own way. Sometimes they need to be followed, sometimes they just need to rest alone and meditate. 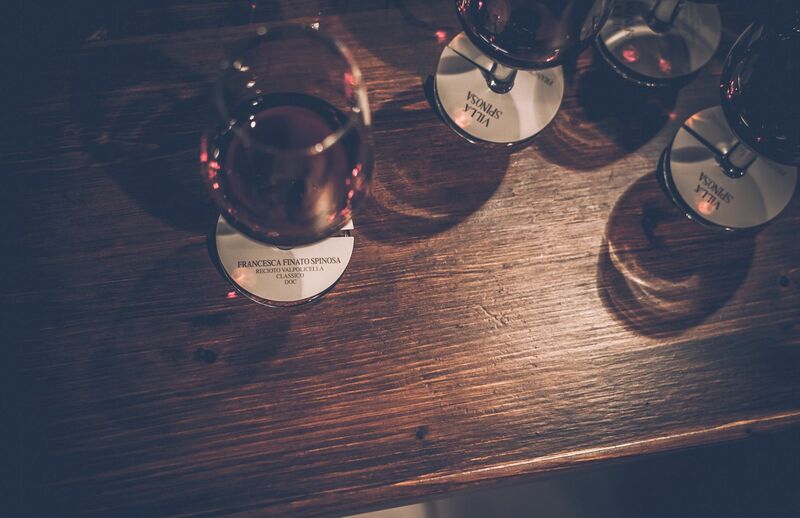 for rakings, aging in tonneaux or large casks and finally the botlling of every single wine. immersed in the charming 19th century atmosphere of Villa Spinosa. 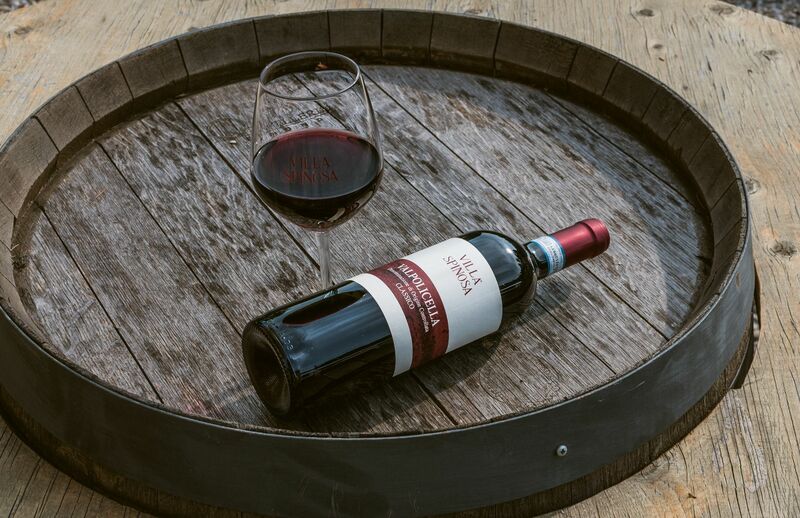 to discover how much passion, work and stories are behing a glass of Valpolicella wine. all magic and feelings experienced during the visit. 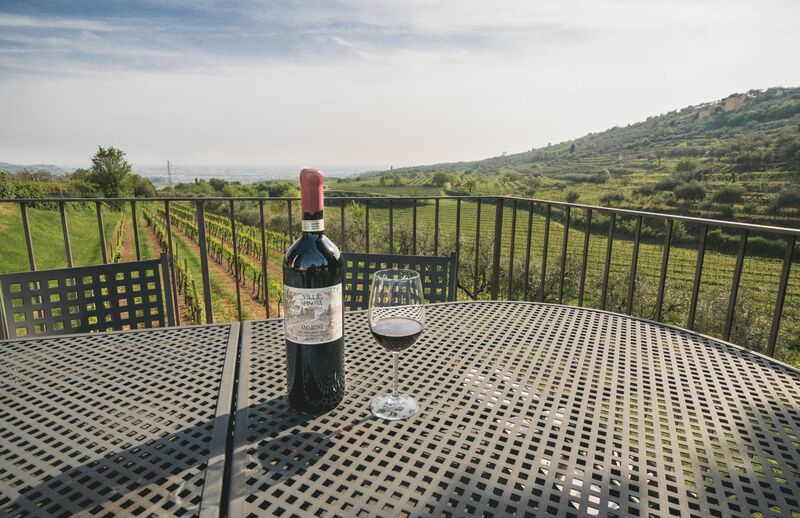 Come and visit us in Valpolicella: we will tell you about the traditions, history and magic of this land. 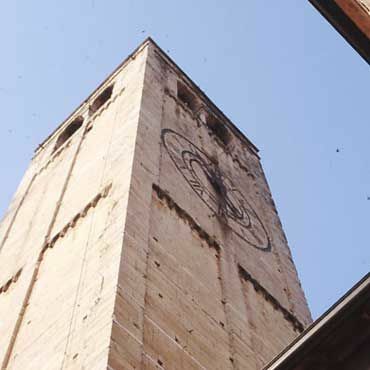 in order to discover the Valpolicella and the charming town of Verona. bond to the culture, nature and religion of this land. later by the Romans and up Barbarians to the lordships in the Medieval Times. Other places are dated back to the Republic of Venice, the Austrian Empire and finally The Kingdom of Italy. The history of the townships over these hills, the reasons why man decided to grow this land and raise what nature offers. 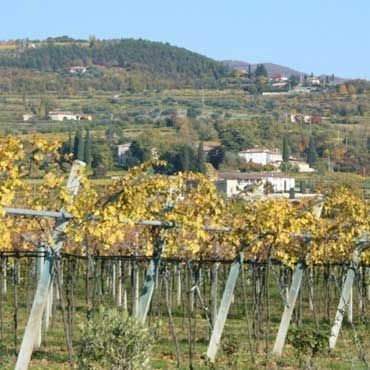 A succession of valleys and hills characterizes the Valpolicella Classica. All villages share the historic origins and agricoltural activites. Negrar is one of the largest townships in the heart of the Valpolicella Classica. 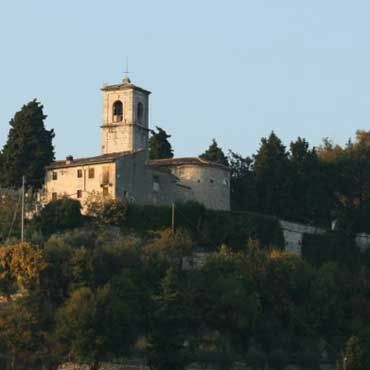 Charming landscapes, Venetian villas and a good healthcare centre make it well known. 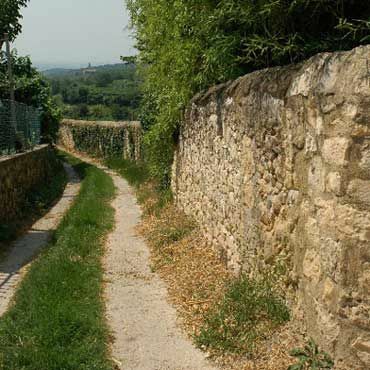 Marano still has a traditional landscape and makes of agricolture its main business due to many fertile plots of land.